The flavanoids in cranberries can boost your heart health and lower the risk of heart problems, even slowing the progression of atherosclerosis, which is a condition that restricts the arteries with accumulated plaques, causing lack of oxygen-rich blood flow which can lead to heart attack or stroke. The Vitamin C in cranberries can also reverse the damage associated with free radicals in the body, which helps prevent heart disease. A study by the American Chemical Society found that drinking three glasses of cranberry juice a day raised levels of 'good cholesterol' by up to 121%. 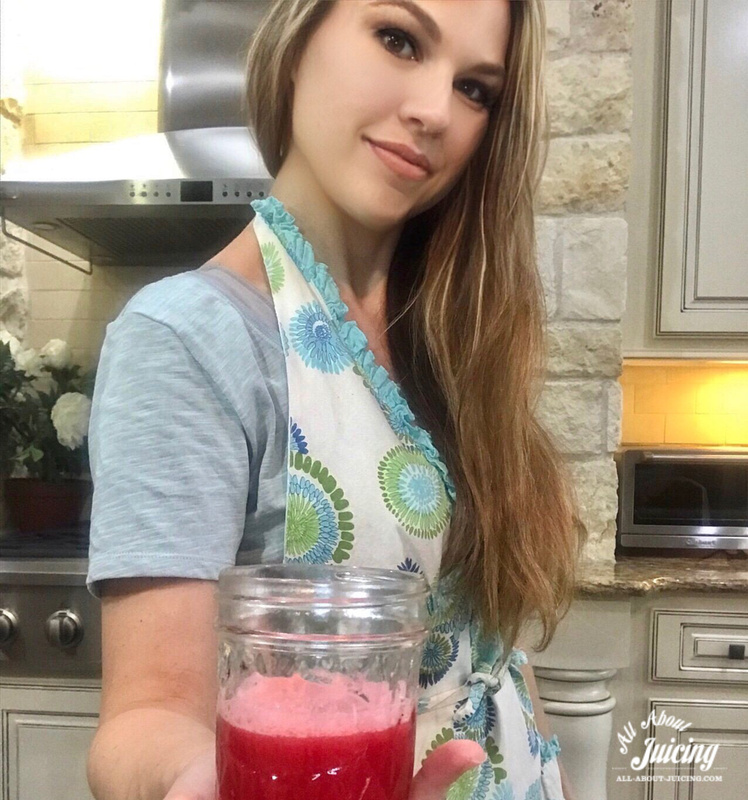 Experts say that cranberry juice inhibits the growth of the mouth bacteria that causes plaque (and cavities), similar to how the proanthocyanidins (PACs) can help prevent urinary tract infections by inhibiting bacteria growth. What’s more, the calcium in cranberry juice strengthens teeth and bones, thereby reducing the risks of developing osteoporosis. Cranberries are ideal as a juice because they're less sweet than other fruits and have fewer calories. With its high fiber content, you also stay satiated (full) for a longer period of time. When it comes to cancer prevention, cranberries can offer significant health benefits, which include their ability to hinder the growth of various cancer cells. The flavonoids in cranberries also reduce the risk of cancer. A study at Cornell University testing human breast cancer cells found that cranberry extract killed cancer cells within hours! Cranberries are rich in antioxidants and phytochemicals that promote a healthy immune system. A University of Florida study found that people who drank a glass of cranberry juice every day experienced less colds and flu than those who had a placebo drink. Cranberry juice can also help you get rid of a cold more quickly. USDA scientists at the Human Research Center found that the high levels of antioxidants in cranberries offer protection against age-related issues such as lack of coordination and memory loss. It also protects your cells against the free radicals that contribute to aging which keeps your skin youthful too. The high vitamin C content in cranberry juice is extremely vital for the production of collagen in the body which is responsible for the healthy functioning of the tissues. The University of Maryland suggests that taking vitamin C along with vitamin E may prevent pre-eclampsia, a condition which can cause premature birth due to high blood pressure and increased protein in a pregnant woman's urine. Much for the same reasons cranberries are recommended for UTI, they can be used to curb yeast infections, which are caused by an overgrowth of naturally –occurring bacteria in the body. This is because the juice contains substances that inhibit the growth of bacteria which clings to the walls of the mouth, intestine or urinary tract. The cranberry gets its name from Dutch and German settlers, who nicknamed it the “crane berry”. This came from seeing the vines bloom in late spring, when the pale flowers look like the head and bill of a crane. The cranberry is one of only a handful of fruit that are native to North America and commercially grown, including the blueberry and Concord grape. Cranberries served as both food and medicine to Native Americans due to their anti-inflammatory properties. Cranberries take 16 months to grow, which means at any given time, a cranberry vine is nurturing both older fruits and their younger siblings. Cranberries do not grow in water, but on low-running vines in sandy bogs and marshes. For harvesting purposes, the bogs are flooded, and the fruit floats to the top. Cranberries bounce! Small pockets of fresh air inside the fruit allow them to bounce. It is also what makes the berries float in water, which is how most cranberries are harvested. Cranberry juice was a natural dye for rugs, blankets and clothing. The Delaware Indians in New Jersey used the cranberry as a symbol of peace. Cranberries are approximately 90% water. Only about 5% of cranberries are sold fresh while the rest are turned into cranberry juice, sauce, etc. 20% of the total cranberry harvest is consumed on Thanksgiving, mostly as cranberry sauce, and over 400 million pounds of cranberries are consumed by Americans each year. Cranberries are sometimes used to flavor wines, but don’t ferment as naturally as grapes, making them unsuitable for winemaking. The hardy cranberry thrives in conditions that would be unsuitable for most other crops – acid soil, minimal nutrients and low temperatures. Native Americans would make a survival cake known as pemmican, which contained cranberries, fat and ground venison. America vessels carried cranberries. With a generous amount of Vitamin C, cranberries were known to prevent scurvy. John “Peg Leg” Webb, a New Jersey grower in the 1880s was the first to discover that cranberries bounce. Instead of carrying his crop down from the storage loft of his barn, he poured the berries down the steps. He saw that only the freshest, firmest fruit reached the bottom, the rotten and bruised berries didn’t bounce and remained on the steps. This led to the invention of “bounceboards”, tools used to separate rotten berries from fresh ones. During World War II, American troops used one million pounds of dehydrated cranberries a year. *Information sourced partially from Ocean Spray Cranberries, Inc.
Cranberries are extremely useful in urinary and bladder infections. It prevents the bacteria from attaching to the cells of the bladder or urinary tract, rendering them ineffective in causing infection. They are high in vitamins C and A, iodine and calcium, prevent kidney stones and deodorize the urine. Fresh cranberries are much more effective than store bought for most of which is diluted with water and has added sugar. They freeze well when in season, and can be added to smoothies or juiced frozen. Wash just before juicing. Because the flavor has a tartness, mix with sweeter juices such as apples, pineapples, apricots and grapes. Use pulp to make a fruit sauce, either adding fresh in as well or cooking it making a syrup to pour over other fruits or ice creams/desserts. It also tastes good blended with sweeter fruits in smoothies. Choose berries that are firm and brightly colored. Rich in calcium, chlorine magnesium, phosphorus, potassium, sodium, sulphur, small amounts of copper and iron. Juice the orange and cranberries together. If you like a lighter juice, add 1/4 to 1/2 cup of fresh filtered water. Add 1 tsp honey or 2 drops of liquid stevia to sweeten, if you'd like.